Dr. Sridhar Krishnaswami is a Deputy Dean of the Faculty of Science and Humanities, SRM Institute of Science and Technology (formerly known as SRM University) and Professor in the Dept. of Journalism and Mass Communications. Besides teaching and supervising research scholars, he is also Special Assistant to the Vice Chancellor of SRMIST. Dr. Krishnaswami has been a Journalist for 25 years. For 18 years he was a Foreign Correspondent—ten years with The Hindu in Washington D.C. (1995-2005) covering North America and the United Nations; three years he was with The Press Trust of India (2005-2008) in Washington D.C.; and for four years in Singapore (1991-1995) in charge of South East Asia and the Asia Pacific with The Hindu. Prior to his overseas assignments with The Hindu he was for seven years the newspaper’s Editorial Writer and Assistant Editor based in Chennai. Dr. Krishnaswami has a Ph.D in Political Science from the Miami University of Ohio(USA) specializing in International Relations, International Law and Organization, and Comparative Politics (East Asian Political Systems). He holds a Master’s Degree in International Affairs from Ohio University (USA), with a concentration in South East Asia, and a Master’s Degree in Political Science from the University of Madras (Presidency College). Dr. Krishnaswami has been a Professional Fellow with The Japan Foundation, Tokyo, and a Journalist Fellow with The Foreign Press Center of Japan in Tokyo. He is the recipient of The Radio Tampa Broadcasting Award of Japan for his writings in The Hindu on the Asia-Pacific and Oceana. A regular Visiting Fellow at the Department of Communication of the College of Liberal Arts at the University of Central Oklahoma, Dr. Krishnaswami continues to contribute articles to scholarly journals and media publications like The Hindu, The Hindu Business Line, The New Indian Express and Deccan Chronicle. Currently a regular columnist for The Hindu Tamil, Dr. Krishnaswami has written for the Centre for China Studies and the South Asia Monitor. 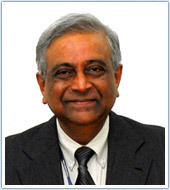 He sits on the Advisory Board of the Society for Policy Studies, a major New Delhi based Think Tank that focuses on issues of domestic and foreign policies of India and the world and actively associated with the Centre for Japanese Studies of the Indo-Japan Chamber of Commerce and Industry. He co-authored the First Policy Paper of the Centre titled Fostering Synergetic Relations between India and Japan.